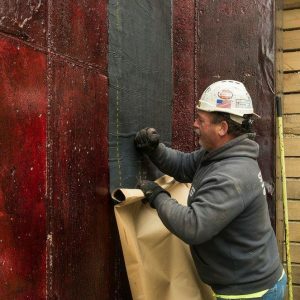 Carlsisle Fire Resist 705FR-A Air & Vapor Barrier and Fire Resist 705FR-A XLT (low temperature) are 40-mil-thick (0.040 inch) self-adhered sheet air and vapor barrier composite membranes. 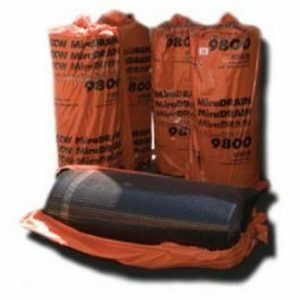 Fire Resist 705FR-A is provided in rolls of various widths lined with disposable silicone-coated release paper. The release paper is removed to expose the adhesive as the membrane is pressed in place. Fire Resist 705FR-A provides a complete barrier to moisture and air when adhered to an above-grade substrate. Cut sizes are also useful for other above-grade wall Fl aching applications. 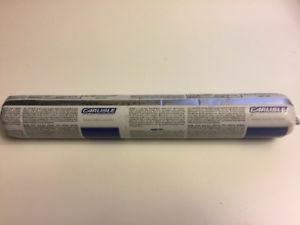 Carlisle Fire Resist 705FR-A XLT is manufactured with a highly-tacky adhesive formulated for installation between 15°F and 60°F, ambient and substrate temperature. In addition to being tough and dimensionally stable, the facer provides heat reflectivity and fire resistance. 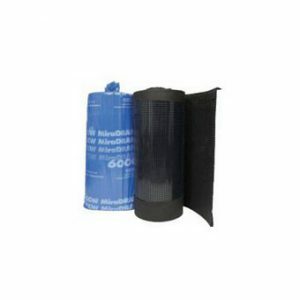 Fire Resist 705FR-A XLT is provided in rolls of various widths lined with disposable silicone-coated release paper. 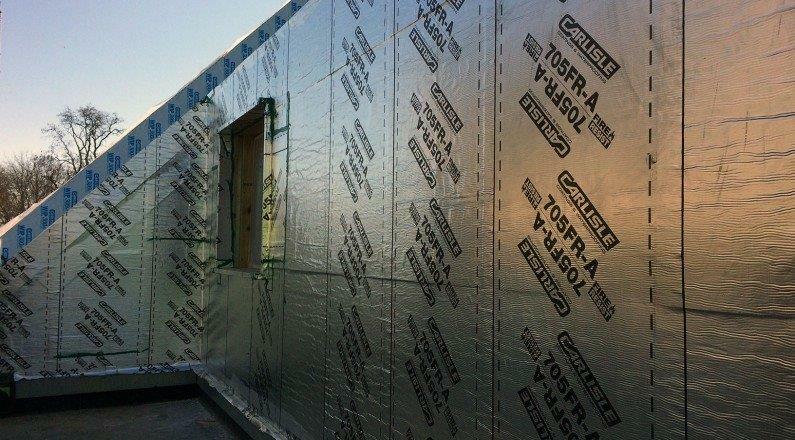 Fire Resist 705FR-A XLT provides a complete barrier to moisture and air when adhered to an above-grade substrate. Cut sizes are also useful for other above-grade wall flashing applications. Both Fire Resist 705FR-A and Fire Resist 705FR-A XLT are designed for use in above-grade wall assemblies to function as an air, vapor and water barrier.